Long Stay Service Apartments Pvt. Ltd. – a Company that is building a chain of luxurious service apartments across Western India, starting with Vadodara. Where it has left its mark with : White House – a unique 30-apartment luxurious property situated on the posh Vasna-Bhayli Road. And Shreeji Apartments, a complex of twelve 2 BHK units, at Gotri – a well-developed area comprising hospitals, malls, retail-areas, restaurants etc. 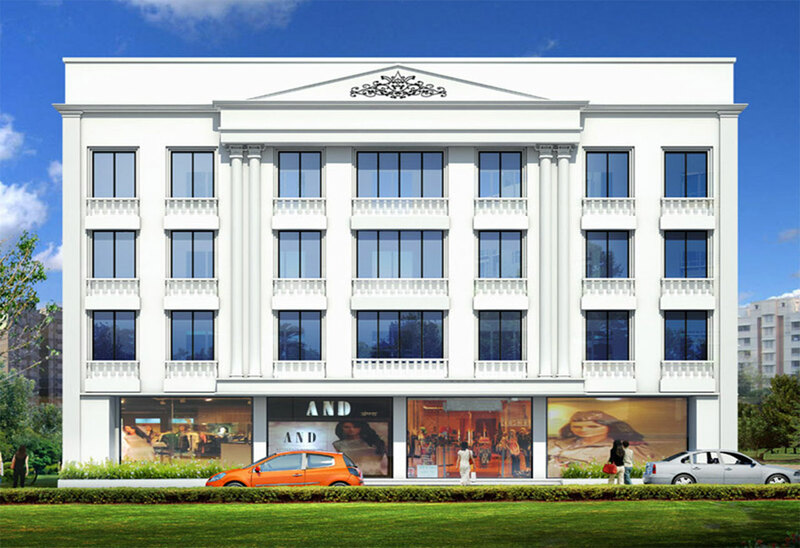 This is the flagship property of the Company, situated on Vasna Bhayli Road - Vadodara's posh residential locality. Though it is situated in the heart of the City, its peaceful environs convey a rural feeling. A strategic location makes it easily accessible, through various modes of transport. Its proximity to the major highways, is an added benefit. To make things even more convenient for our patrons, we also provide transportation. There is a 24-hour taxi service, with airport transport available on request, at cost. This is a place that feels as luxurious, as it looks. A friendly environment, where you'll feel at home, right away ! Whether you're on your own, or with your loved ones.